After spending two incredible weeks working in Sofia (see below), we were very excited to move onto Harmanli. We worked for one week in the Hamanli refugee camp, delivering one session in the morning and one in the afternoon. Although our time in Harmanli was brief, it was very influential for both the people we worked with, and for the team. We felt that the connections made during our time in the camp were very strong. Sessions throughout the week were riveting and extremely diverse. We went from playing seemingly endless games of “Wahesh” (monster in Arabic) with the young children, to participating in and learning professional cricket techniques with the young Afghani men. During our time working in the camp, each member of the team felt as though they were a different age in every session. One particular highlight for the team was the engagement of the older men, as it proved that despite a person’s age or struggles, they can still have fun and engage in all kinds of activities. It also revealed some of the team’s hidden competitive sides! For the younger children, we found a way to encourage learning English through our sessions. When we left the camp many of the young children had a whole new vocabulary, including sleep, zombie, stop and even harder words like butterfly. Also, colors and numbers were regularly included in games for practice. One child even gave himself the nickname “Mr Muscle”, despite the fact that he was only about five years old! To end our week in Harmanli, we organized two tournaments; one for the children, and one for the young men. This was a highlight for the whole team. It really showed the enthusiasm and passion of the people in the camp. 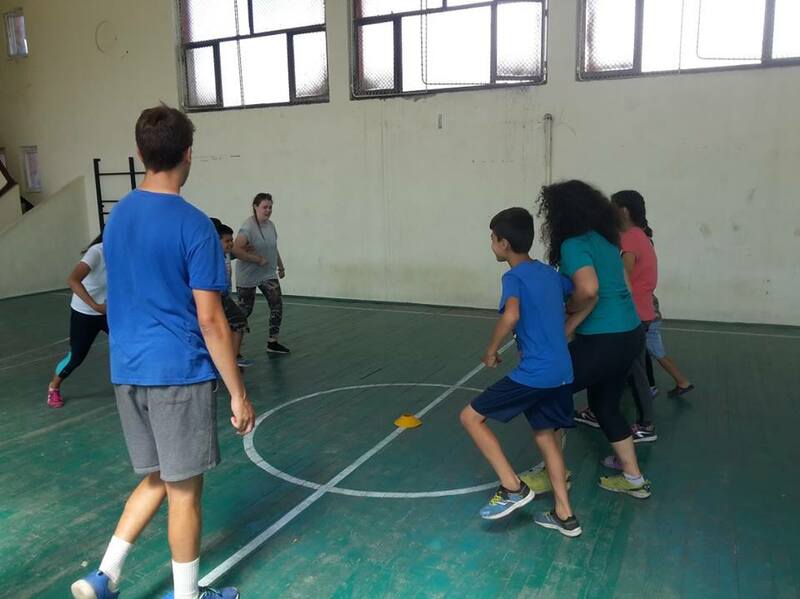 One member of staff mentioned that she felt as though our sessions and the tournaments really broke down the tensions between the different ethnic groups within the camp. She felt as though she witnessed Syrians and Afghanis working together in a way that she hadn’t seen before, which was very touching to find out. We were also lucky enough to get to know some of the amazing staff working long term in the camp. Even the camps security guards would greet us with a smile and a warm Bulgarian welcome each day as we entered the camp. One night, we spent hours discussing the hardships of the life of refugees with one of the translators at the camp, who had gotten a job there after travelling as a refugee from Afghanistan. We were humbled by his openness and willingness to share his story with us, and felt comfortable to ask questions and discuss related issues. In addition to this, we worked closely with the Caritas staff. They joined our sessions, and were eager to learn more about how we work and what we do. We even ended up doing a “Train the trainer” session with them, and also with the owner of the camp’s play school. This was a very beneficial activity for both sides, and now as we leave Harmanli we are sure that our impact has been strong, and that it will be continued in our absence. After a rather interesting and unplanned last few days in Kosovo, we finally arrived in Sofia in one piece. It was late, and we were all beyond tired with a session to run the next morning. To top it all off, Gard got stuck in the toilet for an hour right after we arrived! Once he was safely out of the toilet, we hit the hay to ready ourselves for our first sessions in the beautiful city of Sofia. The children in the Fakulteta Roma community were full of energy and enthusiasm. We couldn’t wait to get started with this group. Quickly realising that we didn’t have a lot of space, we took them to the local park where some intense relays occurred. After each session, they invited us to stay for lunch. As we sat in the tiny people chairs with our knees struggling to fit under the tiny people tables, one little boy always turned his tiny person head to ask us a very important question; “You. Hungry?” to which we happily responded “Me. Tummy. Empty!” Although we didn’t speak each other’s language, it didn’t stop us inquiring about each other’s digestion. In the afternoons of the first week, we worked with the children in Voenna Rampa refugee camp. It was everybody’s first time in a refugee camp, so we didn’t know what to expect. Based on our experience working with the extremely energetic and boisterous Roma children, we anticipated a little bit of chaotic fun. However, we were pleasantly surprised by how well behaved these children were, especially when the little boys helped keep our equipment in order even in the heat of a game. Our favourite game to play was definitely Giants, Wizards and Elves. Each person completely immersed themselves into their character. We could probably have been heard across the whole camp. 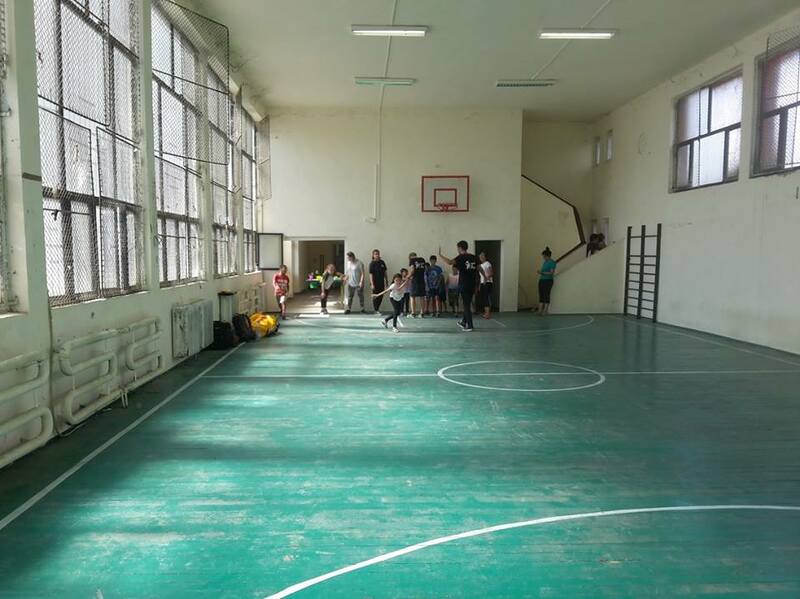 During the second week in Sofia, we worked with a disability centre in the mornings. This group loved to dance and listen to music. One member danced like nobody was watching and made us all love him even more. The whole team were touched by how they looked after each other, like when two of them helped put sunhats on others when we had a session in the park. They had the infectious ability to make everyone laugh for a solid two hours, even a serious looking Norwegian. We also went on an excursion with Vrazhdebna refugee camp to a cave in the mountains. Despite being limited by the uneven terrain, we enjoyed a fun 30-degree angled dodgeball match between the World at Play team and the children. At the end of our last session with these amazing people, we sat and “talked”. Some boys held onto Joe for dear life while other girls ran to find someone to translate so they could tell us “I love you” and “You are my heart”. Little did they know, but they were our hearts. Last but totally not the least, we met the wonderful children in Ovcha Kupel refugee camp. Unlike the other two camps, this place included people from different nationalities such as Tibetan and Iraqi. This group had tonnes of energy and were especially excited to show us their kung fu moves when they saw Rena, who is from China. On our last day, we were invited to their back to school celebration. One little girl noticed that Siobhan’s hands were hurt, she told her to wait in that spot and ran off. She came back with bandages and placed them gently in Siobhan’s lap like it was the most natural thing to do. When we came back from our lunch break, we were in awe of their traditional Bulgarian outfits they wore for their performance in the celebration. Even though we could not imagine how difficult and nerve racking it would be starting a new school in a new country, learning a new language; we felt their happiness when they received brand new school bags, shoes and a whole load of stationary which they couldn’t help but show us. Thank you for teaching us something very important, that your stereotypical label does not define you and that you can find happiness anywhere. We wish all of the children starting school good luck!